6 inch wrist strap and key ring only, matching items not included. A stylish way to carry your keys, or use as a replacement handbag or wallet strap. 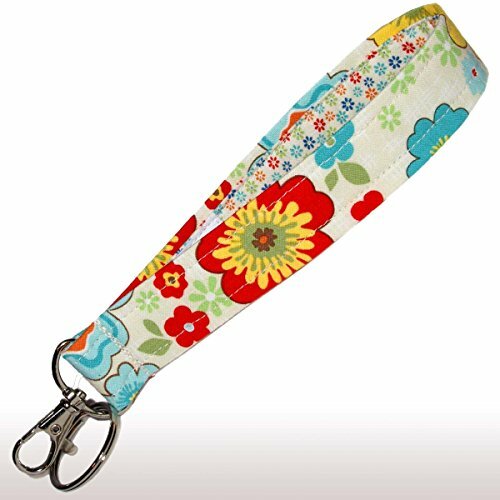 This 1 inch wide, 100% cotton strap is cream with a colorful floral print. The back side is a matching mini floral fabric, also in 100% cotton. A metal swivel clip completes the construction. Strap is durable, attractive and 100% handmade in Minnesota. Matching dog collars can be found in the Green Acorn Kitchen storefront.